Everything about this movie was satisfying but in order to properly give everything its fair due, I'll try and separate them into different sections. Simply makes things easier. Most of the kids absolutely knock it out of the park. Beverly, Richie, and Bill in particular are three actors that are going to go very far. The only performance I wasn't a huge fan of was the actor playing Stanley. His squeaky voice may have just translated to an awkward performance so I'll hold out hope that it becomes less noticeable with repeat viewings. Bill Skarsgaard's Pennywise is perfect. Everything that It was in the book comes through in Bill's performance. There have been inevitable comparisons to Curry's performance but I don't see them even in the same ballpark. Sure, Curry's is creepy and works well for the time, but its confined by the restrictions of television. Bill's version is fully realized and terrifying. It's hard to deny the presence of death that surrounds Pennywise. One of the gripes that, while I understand it, I don't necessarily condone it, the poor use of CGI. I understood its intentions and it never really bothered me but there were a few moments I would have liked to have just had Skarsgaard's performance to inform the terror rather than shaky cam/CGI teeth. I'm sure the director's intentions were for higher budget effects, and I'm sure with the success of this one, we'll be getting that for Chapter 2. The phenomenon of IT is alive and well. I knew when it was announced that this would be an "event" film but I had no idea it would blow up as it did. 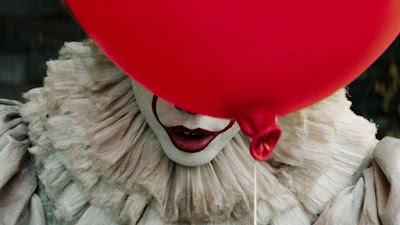 Getting to live through the release of the highest grossing horror film ever was truly something to behold and I'm still riding high off of it. Here's hoping Chapter 2 is just as satisfying.